The BMU Series has a maximum speed of 4000 r/min. Speed ratio of 1:50 (80 to 4000 r/min) is achieved. Round Shaft and Combination-type Parallel Shaft or Right-Angle Hollow Shaft Geared models are available. 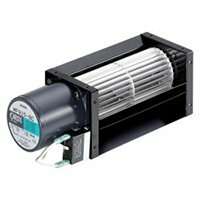 Featuring 30 W (1/25 HP), 60 W (1/12 HP), 120 W (1/6 HP), 200 W (1/4 HP) and 400 W (1/2 HP) output power models. 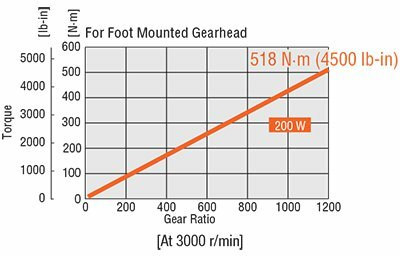 *Maximum input speed for Gearhead limited to 3600 r/min. 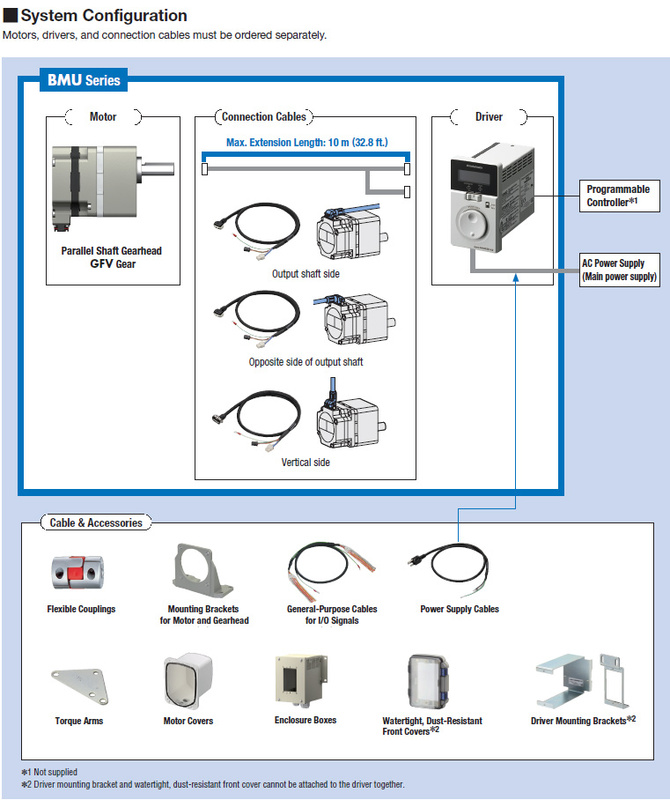 The BMU series brushless DC motor speed control system offers a maximum speed of up to 4000 r/min (80 to 4000 r/min). 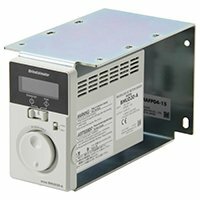 This allows for a wider speed range, wider selection of gear ratios and torque ranges making the BMU Series an ideal alternative for servo, brushed motors or AC three-phase Inverter driven applications. 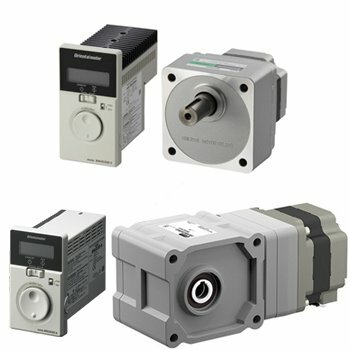 The BMU series brushless DC motor speed control systems offer user-friendly features and expanded functions at an affordable price. 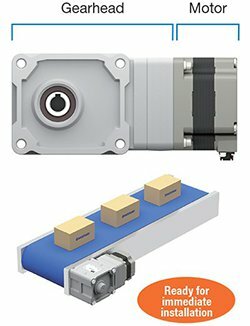 Now offering even more value and performance, the BMU series BLDC motor, driver and gearhead come together as one part number; saving time when ordering and ensuring a complete solution, guaranteed. 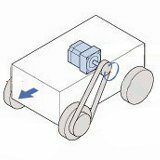 In a brushless DC motor, there are no brushes and thus no physical contact the could lead to frictional energy losses. 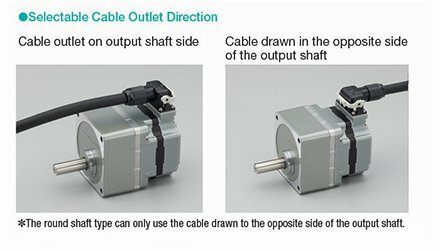 While brush DC motors use a brush and commutator to rotate and require regular maintenance, Brushless DC Motors (BLDC Motors) rotate by the ON/OFF operation of the drive circuit transistor, based on the signals detected by the hall effect IC (magnetic sensor). 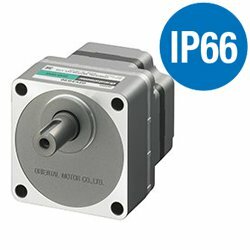 Brushless DC Motors (BLDC Motors) are more expensive to design and manufacture, however, they are typically more efficient than brushed DC motors. 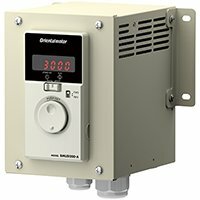 Using the dial and digital speed indicator, controlling the BMU series brushless DC motor speed is simple and user-friendly. Turn the dial and set the desired speed. Push to set (store) the desired speed. After the speed has been set, it can easily be changed by operating the dial. The dial can be locked to prevent changes in speed with the dial lock operation. Get started quickly and easily. Connecting the motor is simple using the included cables with connectors. 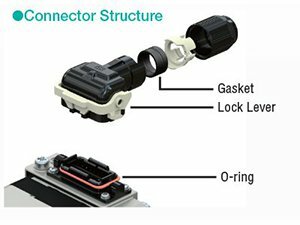 The power and I/O connectors feature a screwless connector, eliminating the need for soldering or crimp tools. 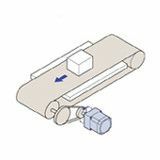 Start the motor with one switch; the motor starts when the switch is set to "RUN" and decelerates to a stop if set to "STAND-BY". 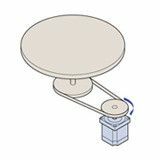 It's also simple to change the rotation direction of the motor using the rotation direction switch on the front of the driver. An optimal magnetic design and high-performance material enable the new brushless DC motor stator plate to have a thickness of just 7/16 in. (11.2 mm). 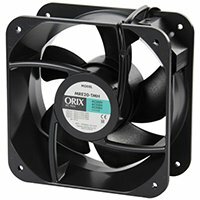 This slim design achieves a highly efficient power unit that outputs 120 W (1/6 HP). 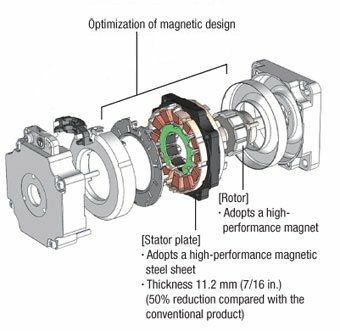 Compared with the conventional brushless DC motor of the same output power, the stator plate thickness is only half of the conventional one. 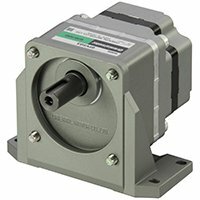 The connector is newly developed for small motors and enables a direct connection between the motor and driver. Connecting is easy due to the lock lever that does not require screws. 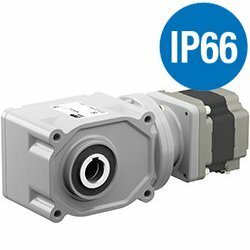 Also, the motor structure has achieved an IP66* degree of protection for its improved watertight and dust-resistant performance. The internal gasket and O-ring improve the watertight performance. 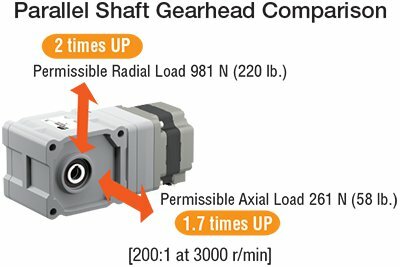 *The degree of protection and output shaft material vary depending on the types of gearheads combined. See the product lineup for details. Two types of the connection cables are available, depending on which direction the cable will be drawn. Since a single connection cable can connect directly between the driver and motor at a distance of up to 20 m (65.6 ft.), no extension cable is required. 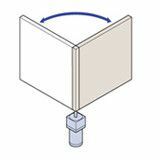 *Setting is possible even if the front panel is attached. 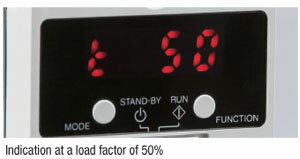 With the rated torque of the motor at 100%, the load factor can be expressed as a percentage (40-200%). The load condition during start-up, as well as the load condition due to the aging deterioration of the equipment can be confirmed. 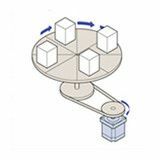 This prevents the undesired changes in the speed and the changes or deletion of data with the operation of the dial. At the main screen for each operating mode, press the "MODE" key for 5 seconds or more. When "Lk" appears the lock function is activated. Return to the main screen and press the "MODE" key for 5 seconds or more. When "UnLK" is indication the lock function has been cancelled. High strength is achieved through improving the strength of gears through heat treatment and through larger bearing diameters. 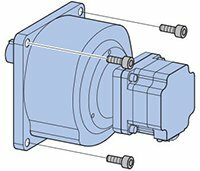 The high permissible torque is 2 ~ 3 times that of a gearhead for an AC motor with the same frame size, and this contributes to reducing the size of equipment. With the gearhead's boss and machined mounting surface, the installation accuracy has been greatly improved. 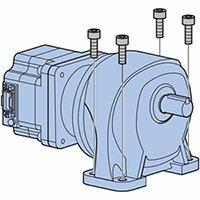 The new gearhead also has lower audible noise as compared to our previous type and comes pre-assembled (motor and gear) as a combination type. A long life gearhead that uses a special bearing and grease for high speed rotation. A rated life of 10000 hours is achieved. A tapped hole has been machined at the tip of the output shaft. 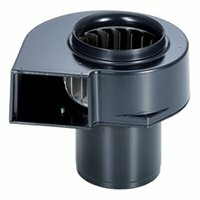 This can be used as an aid for preventing transmission parts from coming off. 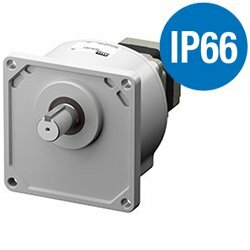 These brushless DC IP66 motors include a shaft made of SUS303 type steel, which provides excellent rust prevention and corrosion resistance. Stainless steel is also used in the parallel keys and installation screws. The gear ratio is 1/1200 with maximum allowable torque of 518 N•m. Torque is not saturated with the new gearhead, therefore, maximum output torque is available at each gear ratio. Configured so it can be quickly installed on equipment. 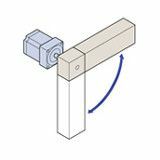 Well designed shaft axis, integrated construction with installation surface. High permissible radial and axial load strength enables powerful, high-spec operations. 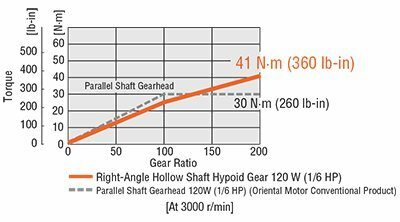 Torque is not saturated with the new right-angle hollow shaft Hypoid JH gear, therefore, maximum output torque is available at each gear ratio. 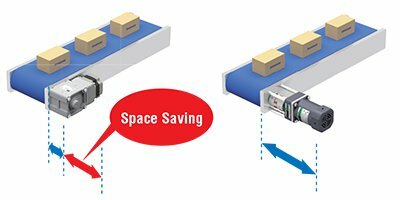 Space reduction is achieved when mounted along side the conveyor belt. 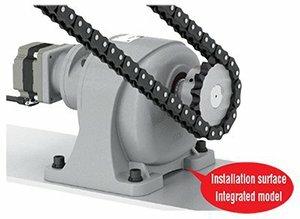 Because the output shaft of the gear is vertically in the middle of the installation surface, it is possible to change the installation direction horizontally, tailored to equipment position of installation. 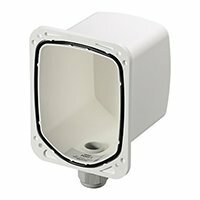 Component cost saving is achieved through reduction of fastening parts, assembly steps reduced through mechanism simplification. Maintenance cost is also reduced or eliminated as a result. The gearhead can be removed and the assembly position can be changed in 90˚ increments. The connector positions can also be changed to suit the equipment. These cables are required to connect the motor and driver. 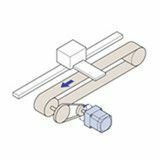 Use a flexible motor cable if the motor is installed on a moving part or its cable will be flexed. Power Supply cable for the BMU Series. 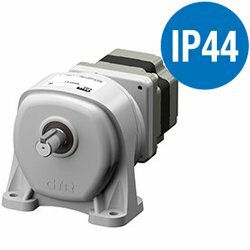 Provides IP64 protection and prevents changes to the driver. This cover protects the motor. 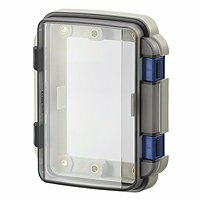 They are compatible with the degree of protection IP66 specification and can be used in wet and dusty environments. 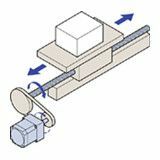 These products are clamp type couplings used to connect a motor or gearhead shaft to the shaft of the equipment. This is an aluminum die cast mounting bracket for geared motors. Long, horizontal holes make it easy to make fine adjustments during installation. Driver mounting bracket for panel-installation type.